Harry Clemons served as University of Virginia Librarian from 1927 to 1950. He came to a library of a little over 150,000 volumes and left a library of over 1,500,000 volumes. 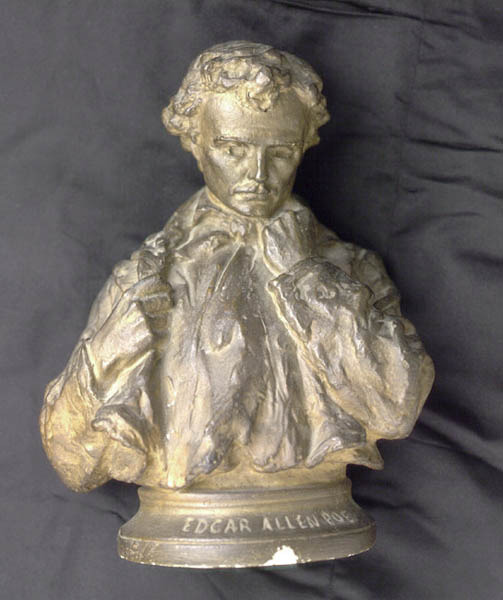 In reviewing the library's records he also discovered and quietly paid an overdue book fine that a careless Edgar Allan Poe had neglected to clear a hundred years before. During military training on University Grounds in the spring of 1917, this bugle was played to sound the calls used in drilling the student corps. The bell of the bugle is lightly inscribed "J. B. O'Neill/ U. of Va./ April 1, 1917/ Will there be war?" This fragment of a Corinthian capital from the Rotunda was rescued after the great fire of 1895. Matriculation book fo the students for the University of Virginia, 1825-1856, 560 pages. Students entering the University for the first session presented themselves to a clerk who recorded their name, residence, parent or guardian and course of study. Beginning in 1827 students signed in themselves. These simple listings are the only records available for many of the earliest students. 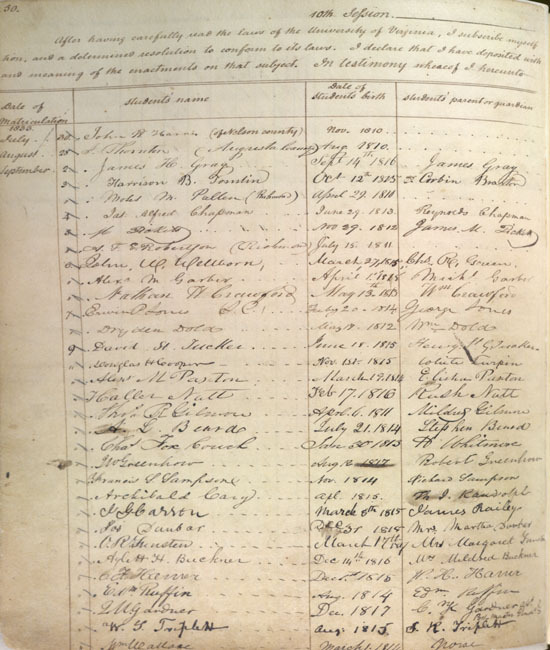 Among the students who signed in for the 1836 session was future Confederate general Lafayette McLaws.